If you’re new to the services industry, and you are ready to learn how to create your first business proposal, we’re here to teach you the basics and to give you some tricks on how to create the best business proposal you can. Don’t worry, it’s OK, we’ll talk you through it. You may wonder why you’d need a proposal when wooing a potential client. Isn’t a quick email with just the pricing included enough? Sometimes your sales proposal is the only thing that differentiates you from the competition, so it’s important to create a professional proposal. You want to show that you’ve done your research on your potential client and that you have solutions that will benefit him or her. Let’s get you started! Business proposals vary from industry to industry, and each company has its own preferences of what to include. At a bare minimum, you want to have an overview of what your company does, as well as you must explain how you plan to help the client with his or her problem. You’ll want to also, of course, include a pricing quote for how much the project will cost to complete. When you set out create a business proposal, certainly the first thing you need to think about is what the client wants. (We know what you want — you want to win the contract and get their business, but focusing on that in your proposal isn’t going get you anywhere near their coveted yes.) Following the old adage, the customer is always right, really nothing is more important than focusing on your client’s needs. What do I know about the project? Why are they outsourcing these services? Can I solve that problem? What makes us qualified to create a solution for them? How can my company provide a solution to their needs? How can I make my company valuable by creating a solution to their problem? How can I specifically present what we offer as a solution to their problem? And, if you can, don’t be nervous about asking your client directly these questions. The opposite of making you seem unprepared or unprofessional, it makes you seem thorough, considerate and focused on what your potential client wants. Depending on how in-depth your proposal should be, you can also discuss your process. This might cover the basic steps you take with a new client (analyze the problem, build solutions, implement them, create reports, etc). Your proposal should also give an overview of the proposed project or scope of work, including deliverables and milestones. You may want to list deadlines for each milestone, if the client asks for it. Prices are a key component to your proposal. In fact, it’s almost certainly the thing your potential client is going to be spending the most time looking at or even fine-tooth combing. It’s important to list each product or service you will provide the potential client, with as thorough an explanation of each as possible. You may charge by the hour or by the project, or you may ask for a retainer to cover a set of services each month. Specify how you charge in the proposal. If you decide to use a business proposal template, like this free template library, you have a lot of parts already written, where you just need to fill in the blanks. Within your proposal, you could consider including a pricing table. You can create a pricing table within a proposal template or you can just create it within Excel. Feel free to offer your clients different pricing options, depending on what service package they choose. In your Terms and Conditions section, you can discuss your payment terms. For example, if you require 50 percent of the fee up front and 50 percent upon completion, this is where you can outline it. If you have a cancellation policy, list it clearly, along with any fees that the client will be responsible for should he cancel services before the contract ends. Your proposal doesn’t have to have all the bells and whistles, but a few additional features can help make it stand out. Some clients need a little push. Consider adding a To Get Started section that gives them specific instructions on what they need to do if they want to proceed in working with you. 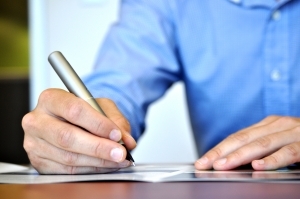 Here, you can ask for the client to sign the agreement and send it back to you to get the project rolling. If you are using a business proposal software, you could even include an opportunity to use e-signature so you can catch their decision more quickly. You may want to provide additional proof of the quality of your work. You might add a mission statement, cover letter, or executive summary to help make you look good. If you are in a visually creative field, like advertising or graphic design, don’t hesitate to incorporate part of your portfolio in there. It jazzes up your proposal — let’s face it, people like pictures — and it adds proof to your value proposition. If you create your first business proposal online, you can even integrate videos, showing your work and/or other client testimonials. If your education or experience seems important to your client, feel free to integrate bios (with or without happy head-shots , small resumes/CVs, and education into your proposal. If you will need certain items to complete the job, add a section for equipment or setup preferences to ensure you have the necessary tools to do your work. Tell us about your first business proposal writing experience! What did you learn from it? What will you do differently next time? 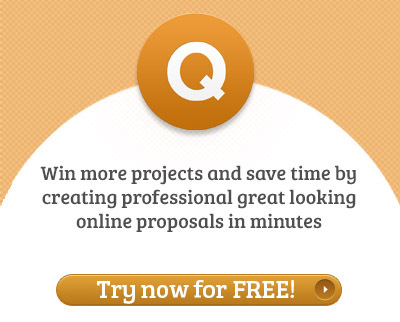 Also you can write another article about how to write business proposal on PandaDoc’s website.